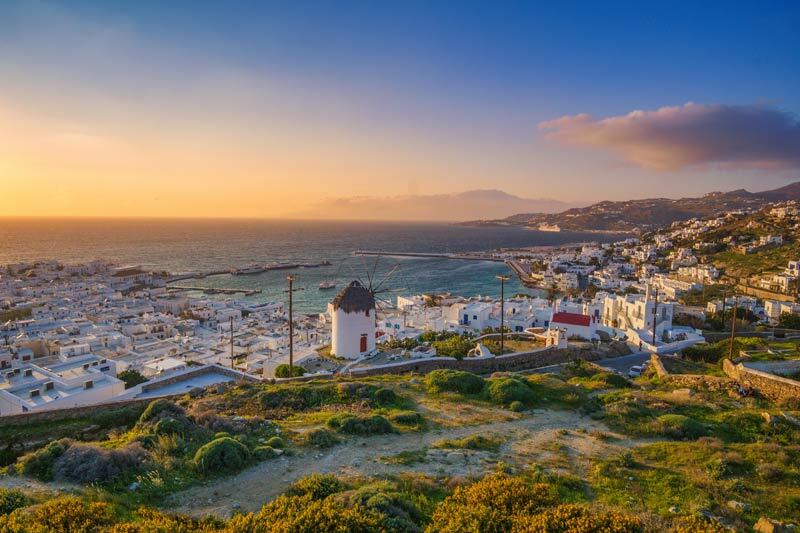 With the sun setting a bit earlier every day and the wild “meltemi” winds gradually giving their place to the much milder fall breezes, September is a magical month for Mykonos! Day temperature is still high, usually higher than expected, sea temperature is ideal for swimming, most beach bars and clubs are open, the colors of the horizon are majestic and the air is scented with a thousand new aromas. It is no surprise that many celebrities from the world of arts—writers, directors, painters—choose ‘September Mykonos’ for their inspiration. 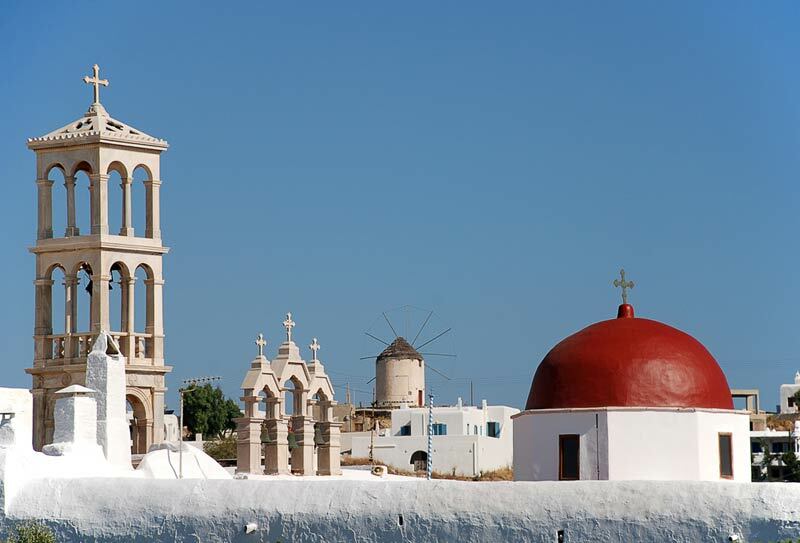 Take a ride to the inland, starting with a visit to Ano Mera, the only big village of Mykonos. Situated at a distance of 8 kilometers from Chora, which is the capital, Ano Mera is home to the famous 16th century Panagia Tourliani Monastery. Founded in 1542 the monastery features a beautiful collection of Byzantine icons. Take some pictures of the two impressive, ruined windmills topping the village and enjoy local food specialties at one of the restaurants on the big square in front of the monastery. The view from Ano Mera also includes the Monastery of Paleokastro and the remains of a Byzantine castle on the opposite hill. 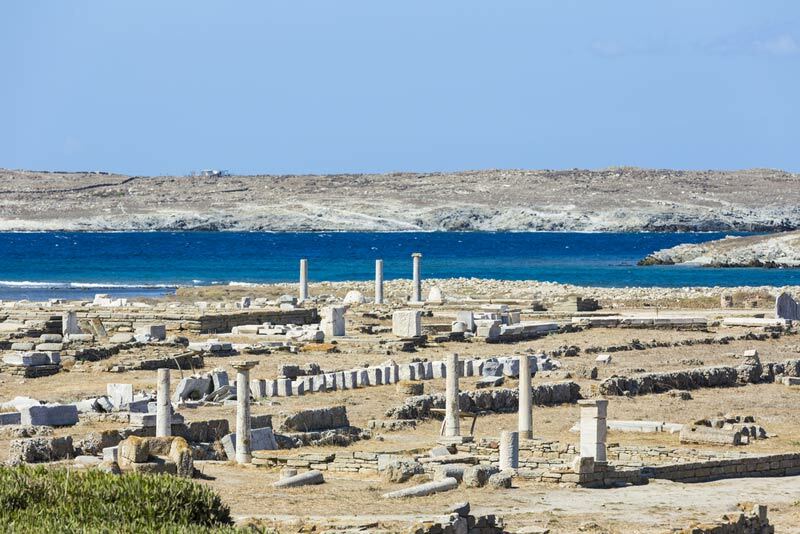 According to mythology, the world renowned Delos Island, just next to Mykonos, is the birthplace of Apollo and Artemis, the twin offspring of Zeus. The archaeological site with the Doric temples, the markets, an amphitheater, houses with mosaics and the iconic Terrace of the Lions statues along with the Archaeological Museum displaying statues and items excavated from the site are much worth seeing. Let your hosts plan for you a daily VIP visit to Delos and enjoy an extraordinary experience. After all, as legend says, it has one of the most stunning sunset views in the world. As for culinary delights, Mykonos has an excellent cuisine that you can taste not only in one of its many fine restaurants and taverns but also by signing up for a cooking class or for a wine-tasting tour. Even a weeklong visit to the island will leave you enough time to fill your days with endless hours of swimming and sunbathing and with spectacular outdoor activities, such as water sports or hiking adventure trips. The weather at this time of the year is mild enough to allow a sailing journey or a boat ride on a traditional ‘kaiki’ vessel to nearby Rhenia Island or to some deserted beach, as in the more popular ones, the party still goes on! The August frenzy may be gone, but in September Mykonos remains alive with its clubs—and arms—open and its magical spell ready to seduce even the most demanding visitors, like you!